Caterpillar (CAT) is part of my portfolio. CAT can be compelling not because of the size of its products, but the size of the call premiums. If you have ice in your veins, you might consider a trade like this one. 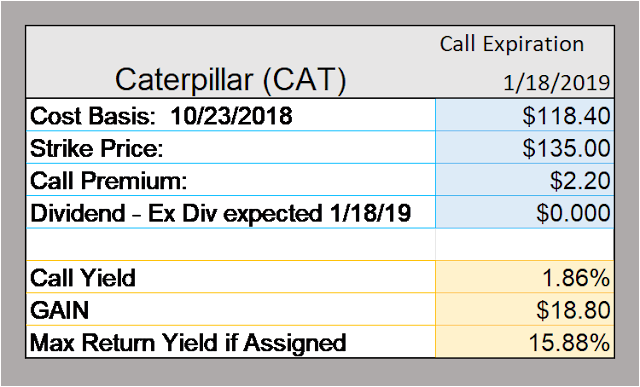 Note, I did not include the January dividend because the call expires on the day CAT is expected to go ex-dividend. If we get the dividend that would be nice but this call gives a juicy enough return to go for it without capturing the next dividend.